Halima Horton White helps employers solve legal issues. She listens. She is a trusted advisor to employers of various sizes. Halima’s experience equips her to help your company with litigation, training, investigations, or day-to-day advice. She has represented companies nationwide regarding issues including overtime pay, discrimination, harassment and retaliation claims, leave and accommodation issues, labor union issues, as well as affirmative action and Title IX questions. She has defended against lawsuits in various courts and has represented clients before government agencies, such as the Equal Employment Opportunity Commission and state human rights commissions. In addition to handling lawsuits, Halima excels at training managers and also at conducting investigations. She trained a client’s managers on how to conduct effective ethics and compliance investigations. She provided that training in the United States, as well as in China, India and Sweden. She has interviewed witnesses in Spanish. In addition, Halima has extensive experience serving as a mediator on a variety of cases involving everything from landlord/tenant issues to a dispute between a medical care provider and a former patient. In that capacity, she has helped litigants to settle lawsuits. She also has defended a school system, a principal and a teacher in a wrongful death action. Thus, she can ably mediate a wide variety of matters. Halima’s prior experience includes a federal clerkship, work at an employment law boutique and five years of partnership at an AmLaw 100 law firm. Halima was named among the “Top 40 under 40” by Georgia Trend Magazine in 2013. 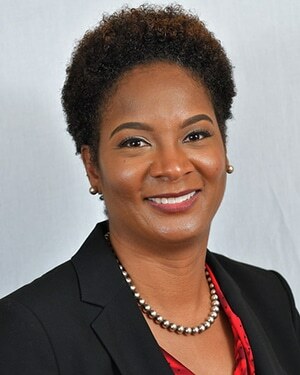 She was named to “Georgia Rising Stars,” Employment & Labor, Personal Injury Defense: General, Employee Benefits/ERISA, SuperLawyers, Thompson Reuters, 2009-2012. Halima is very involved in Big Brothers Big Sisters of Metro Atlanta. Put her experience to work for you.